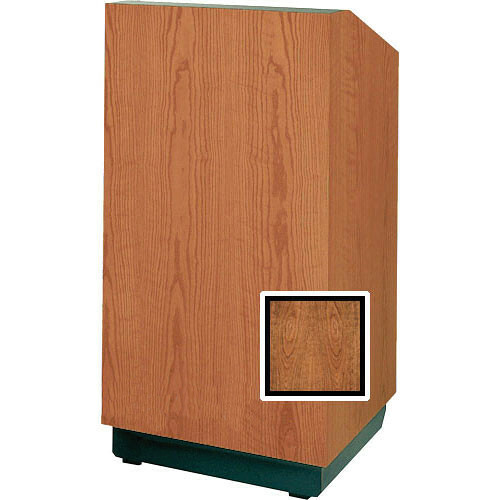 The Da-Lite 32” Lexington Floor Lectern features a clean, rectilinear design that enhances a speaker's presence. This lectern offers an over-sized reading surface that holds a 3-ring binder, heavy-duty industrial casters for easy mobility, and also a spacious storage shelf. It incorporates a high-intensity reading light and LED digital clock / timer with countdown capability.